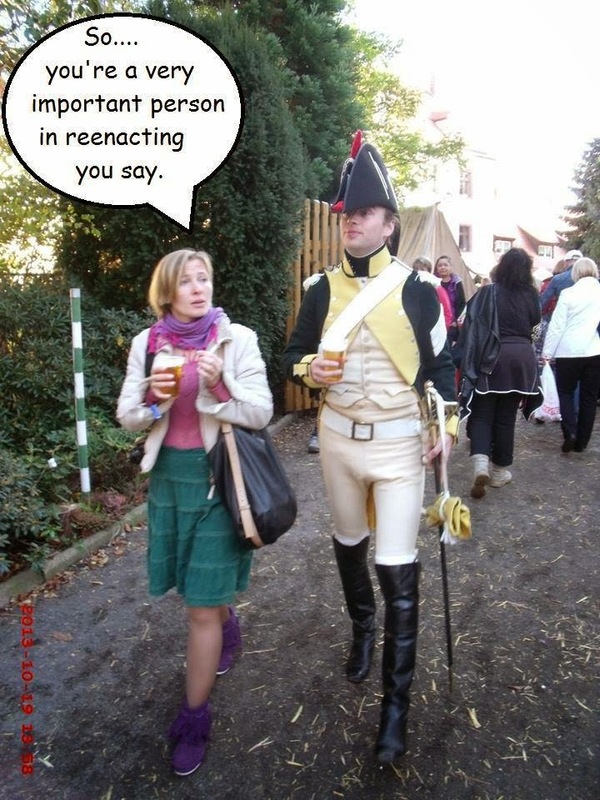 Left foot forward (a journey into reenactment): Keeping up appearances. 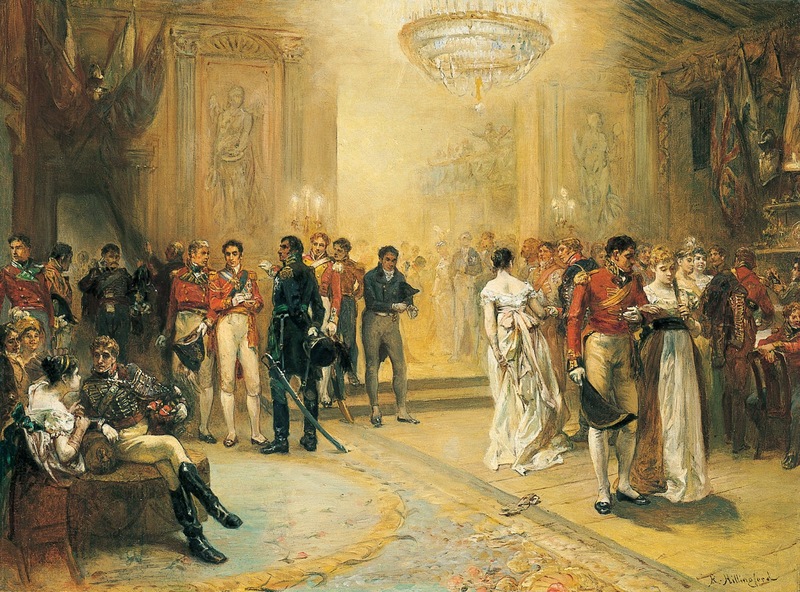 There was a grand event last week called 'The Duchess of Richmond's Ball' (named after the one preceding the battle of Waterloo) which was the same date as the Napoleonic Associations AGM, replacing the usual evening do for most purposes. It would have been tricky to get to and I'd just been in Bury St Edmunds the week before for the 45eme AGM.. but I feel I would not have wanted to go anyway.. because..
B) I'm a regular soldier. C) I'm a scruffy so-and-so. Of course it is for fun and a private event and there is nothing to stop a private French soldier or an Eygptian Mamaluke or a hairy Cossack or an Austrian Lieutenant General from attending but I just wouldn't feel right. As I said before I do tend to take on sympathetic views from being a regular soldier.. like Cavalry are a load of flash gits and the Old guard are a hugely overpaid mob who get the best of everything and half the time just stand at the back and look important.. Some people do have more than one uniform, possibly just for such occasions and possibly one of higher rank, or a civilian outfit or posh frock... and I confess after my brief turn as an acting Officer at Amherst I was tempted to get a fancy hat and a Swarzburg-Sonderhausen Captain's uniform jacket incase anything like it happened again or as a just-for-fun-social-ocassion-non-regiment outfit. It might be fun if a unit like the 79th Highlanders were having a (French free) event I was free for to pop along and be a German officer on Liason. Swarzburg-Sonderhausen were a minor German state that formed part of the Confederation of the Rhine, they fought besides the French but changed sides in 1813... Also no one reenacts them so I would not be treading on anyones toes or have to worry about anyone pointing out if I'd got the cuff buttons wrong etc. I could also go to the ball and swan around as a 'proper officer' and put on a bad German accent. Maybe next year! Also my uniform is very much not suited to a dress occasion, with patched up trousers and currently a few missing buttons.. uniformity was brought up at our unit AGM and I felt for a bit like I was running against my inherent views by encouraging uniformity.. mainly that the overall look of the unit would be improved by everyone having black gaiters and chords/pom pom on shako. A few folk seemed to think this meant parade ground uniformity but NO, that was not it at all, and I hope that got across. I love the little differences and accoutrements people carry. When we set up a camp we shouldnt be looking like we live in a brick built permanent barracks. We are troops in the field! I was also not aware that Napoleonic is reenactment is considered to be (relatively) one of THE MOST EXPENSIVE eras to do, and that when someone doing English civil war or Confederate Americans proposes doing Napoleonic it gets greeted with comments about 'Deep pockets' and 'second mortgages'. Having come straight in to Napoleonic I never really thought about it, suits of armour are incredibly expensive (and so is a German half track..) but I suppose most medievals start off with just the togs, a halberd and a helmet.